FileString empowers people and businesses to protect, distribute and track sensitive and confidential files with an easy-to-use file control service. When files are shared or distributed with FileString, only authorized recipients can view, forward, and print files. Activity by recipients including viewing and printing is tracked; distributed copies of files can be overwritten with updates, and access to distributed files can be revoked. FileString ensures that file owners retain ownership after their file is distributed. 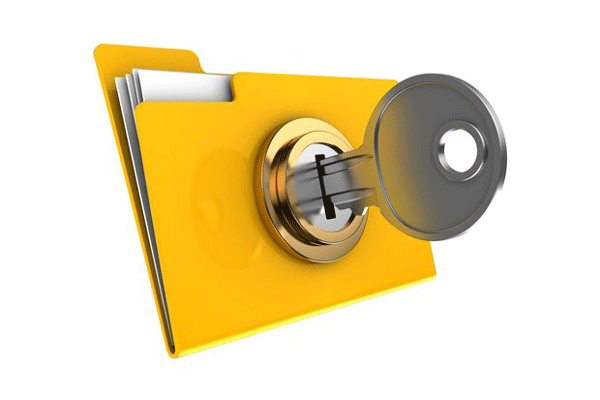 Protect your files by controlling recipients ability to view, forward, print, and download. Track every view by every recipient, including the duration of the view, and receive email notifications when files are viewed and printed. Update recipients’ copies of files to the latest version by pushing updates that overwrite distributed copies. Revoke recipients’ access to files, remotely deleting distributed copies, by setting an expiration date or by manually revoking access. String files from local storage or from Dropbox or Google Drive cloud storage. Recipients restricted to viewing received files in web or mobile applications. Set rights for recipients including the ability to: “Re-share” files to downstream recipients; download an unprotected copy of files; print files. Add a watermark to shared files that displays the file owner and recipient restrictions. Push updates to files to guarantee recipients always view the latest version. Revoke or expire access to shared files. Set specific permissions for each recipient. Save time by stringing multiple files simultaneously to the same recipients. Receive email notifications when recipients – direct or downstream – view, print or download a copy of your file. View a file’s recipient list that illustrates each recipients’ permissions, number of views, last view date and time, and relevant viewing statistics. View file statistics report that illustrates view quantity over time along with aggregate viewing data. View a file view list that displays each individual view by each recipient including the recipient, view date and time, location, duration, viewing device, number of copies printed, and whether a copy of the file was downloaded by the recipient. View tracking information for active and revoked/expired recipients. Sent file filters to view and manage all sent files or files with pending updates to be pushed to recipients. Received file filters to access all received files, newly received files (not yet viewed) and updated received files (update sent by the file owner). “People” library view that allows you to see all files sent and received to a specific person. Receive an email notification each time a file is sent to you, or an update to that file is pushed by the owner. Click a link in email notifications to view received files, or access files anytime by logging into your file library. View received files in the FileString web or mobile applications. Print files from the FileString applications (if given printing permission). Download a copy of the file from the FileString applications (if given download permission). Re-share files to downstream recipients (if given re-share permission). Responsive web application can be used on computers, tablets and smartphones. Mobile applications for iPhones, iPads and Android phones and tablets. Register and login to your account with an email address or your Linkedin credentials. Add multiple email addresses to a single FileString account to ensure you receive files no matter what address a sender uses. Set default sharing permissions for recipients. Set preferences for email notifications to limit the quantity of emails you receive. Link one or more cloud storage (Google Drive or Dropbox) accounts to your FileString account. All files are encrypted with AES 256 bit encryption. Each file-recipient combination has a dynamically generated encryption key. Unlink computers and mobile devices on your account from any other device. Start to share you files Free. No credit card required. No strings attached.